Spanish 21 is considered one of the most profitable blackjack games more so if players are allowed to redouble and the dealer stands on a soft 17. The Spanish 21 is usually played on 6 to 8 Spanish decks. You may also play Blackjack online, cosing the 21 game or other. A Spanish deck carries 48 cards instead of 52 since the tens have been removed. The removal of the tens adds to the dealer's advantage but there are some compensatory offers to the player including the following. A player's hands takes precedence over the dealer's implying that with a total of 21 a player wins whether the dealer has a blackjack or not. The player's blackjack is considered a win over the dealer's blackjack so there is no tie. Doubling down on the first initial cards is permitted irrespective of their values. 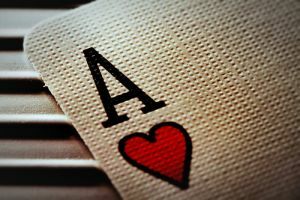 Hitting and doubling down is permitted after splitting cards including the aces though some casinos may impose some exceptions. A late surrender after doubling down is permitted giving a player the opportunity to keep their double down bet also known as double down rescue. This enables the player to minimize his or her losses. The five card rule applies and a player is paid in the ratio of 3 to 2 if he hits five cards without busting irrespective of the totals of his hands. If the proceeds to six cards and wins then the payout ratio is only 2 to 1. If a player manages to hit seven cards and wins then the payout ratio goes up again to 3 to 1. A hand of 21 comprising 7-7-7 or 6-7-8 of mixed suites attract a payout ratio of 3 to 2, but this reduces to 2 to 1 if of the same suit and can rise to 3 to 1 if the suites are spades. Where a player has a 7-7-7 suite and the dealer's face up card is 7, the player is paid $1000 for a bet of between $5 and $24 and $5000 for a bet of $25 or more. The rest of the players at the table would be awarded an envy bonus of $50 but the bonus is not applicable incase of a double down. Redoubling down is permitted up to three time in many casinos but others may put limitations. Many casinos permit late surrender while others may impose conditions. One important thing about Spanish 21 is that most of the bonuses do not apply incase a doubling down has been applied. You need therefore weigh your options before doubling down as they present a catch as the game progresses.